Machine music of a high calibre, I sense Hiroaki has an affinity for circuit board enclosed sonic weaponry. The strange aquatic creature on the cover art has crawled straight from the Deep Lagoon, slinking towards us, its prey. Better get running! All the beats are madly swung, sounding almost out of sync. The phase is an emulation of someone running, slipping and tripping as their feet pound the earth, away from some squelchy swamp monster. The style of music is Drexciyan in nature. Deep ocean bubbles pulsate, reverberating and resonating pleasantly. The rhythm has some stamina. A simple 2 note melody, a solid clanking hook, penetrates the track. The drums are splattered everywhere. Some static torsion on the hi hats mechanises the sound, a reminder of the hardware foundation Iizuka builds his material from. There is constant trammelling in his drum patterns. There are off beat sections, rewound swathes of white noise and reversed counter-rhythm breaks. In the mid-section, the track breaks down entirely, leaving the Klank and Bubble to play with each other in the whorl of chaos. 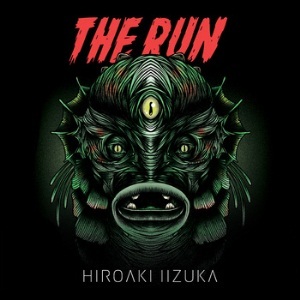 ‘’The Run” is for lovers of the techno kilter, the Zenith and Nadir of the spiral.